Paul was born and raised in Poughkeepsie, New York. He graduated from SUNY Potsdam in 1988 with a B.A. in Physics. Following graduation, Paul moved to the Boston area. 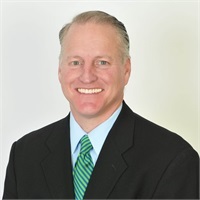 In 1995, Paul began his career in the financial services industry at Ameriprise Financial Advisors formerly known as American Express Financial Advisors and stayed until 2008. Paul became a Certified Financial Planner™ in 2007. He spent eight years working at Citizens Investment Services in Newton Centre until joining Village Financial Partners in April 2017. In his spare time, Paul remains active in sports by continuing to play competitive basketball and softball. He also plays golf, tennis and loves to ski. If he’s not playing sports Paul can probably be found coaching his children, son Jack and daughter Dylan in basketball, baseball and flag football. Paul also enjoys visiting his family in New York and attending an annual golf outing with his high school friends at Ocean Isle Beach in North Carolina, 2017 marked the trips 25th anniversary. Bill has been in the financial services industry his entire professional career. Bill attended Stonehill College where he received a B.A. in Economics. He then went on to continue his studies at Suffolk University where he received an MBA and a M.S. in Finance. He started out in a family-owned insurance brokerage after graduating from college. He became interested in financial services technology and worked for a number of large financial services firms including Fidelity Investments and John Hancock. As his career evolved, he became passionate about personal finance. He enrolled at Boston University’s Center for Professional Education to prepare for the CFP® Certification Exam. Bill became a Certified Financial Planner™ in 2014. 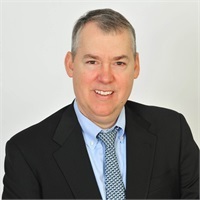 Bill has extensive experience in Financial Planning, Retirement Planning, Investments, Tax Strategy & guiding clients through complex financial situations. Bill enjoys spending his free time golfing, at the beach, or relaxing at his family home on Cape Cod.